Root cellaring isn’t just for off-the-grid types or farmers with large gardens. Storing food makes good sense, both financially and environmentally. 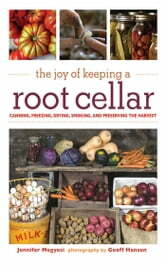 And root cellars can easily fit anywhere. In this intelligent, convincing book, authors Megyesi and Hansen show how to make them part of every reader’s life.